We’re excited to announce the 2015 update to our Pennsylvania FrackFinder data set! Using the USDA’s most recent high-resolution aerial imagery for Pennsylvania, we’ve updated our maps of the state’s drilling sites and wastewater impoundments. Our revised maps show Pennsylvania’s drilling sites and wastewater impoundments as of Fall 2015. Our previous Pennsylvania FrackFinder project identified the location of active well pads in imagery from 2005, 2008, 2010 and 2013. 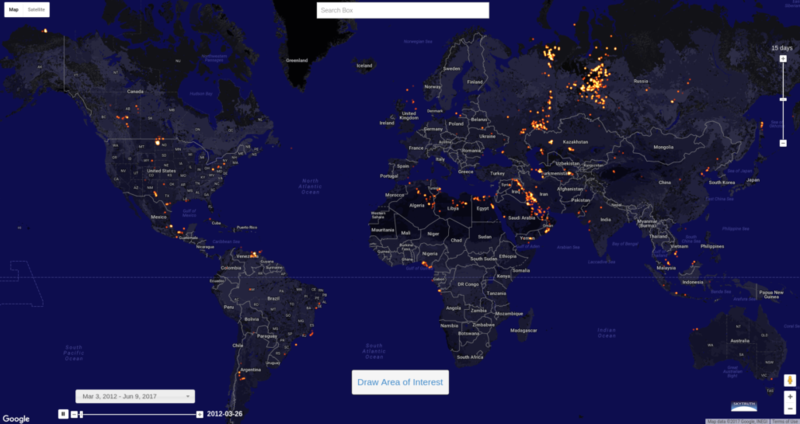 We are pleased to add the 2015 update to this already rich data set. 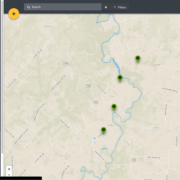 The goal of our FrackFinder projects has always been to fill the gaps in publicly available information related to where fracking operations in the Marcellus and Utica Shale were taking place. Regrettably, there are often discrepancies between what’s on paper and what’s on the landscape. Permits for individual oil and gas wells are relatively accessible, but the permits are just approvals to drill: they don’t say if a site is active, when drilling and fracking began or ended, or if development of the drill site ever happened at all. We compared permit locations against high-resolution aerial imagery from the USDA’s 2015 National Agricultural Inventory Program (NAIP) to determine whether drilling permits issued since the close of our last Pennsylvania FrackFinder project in 2013 were active. There were more than 4,500 drilling permits issued in Pennsylvania during our study period (May 1, 2012, to September 30, 2015), many of them located quite close together. Ultimately, we ended up with roughly 2,000 unique ‘clusters’ of drilling permits to investigate and map. We look forward to seeing how the public will use these revised data sets. We hope researchers, NGOs and community advocates can use these unique data sets to gain a better understanding of the impact of fracking on Pennsylvania’s environment and public health. In January, SkyTruth reported on our work with DigitalGlobe to identify and photograph refrigerated cargo vessels (reefers) in the Western Indian Ocean. The goal was to capture high-resolution images of vessels that our analyst had painstakingly targeted for suspicious behavior by monitoring and analyzing their movements based on signals from their Automatic Identification System (AIS) broadcasts. We targeted reefers because they are key to transshipment—they receive catch transferred from multiple fishing vessels and carry it to port. The practice, called transshipment, saves fishing vessels time and fuel, but it is illegal in many cases because it can enable illegally caught fish to be mixed with legal catch. 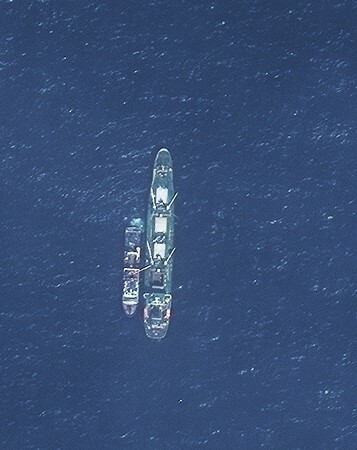 The images DigitalGlobe acquired in November revealed multiple instances of reefers in rendezvous with other vessels, including fishing vessels. 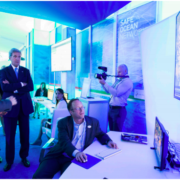 Now, in collaboration with Global Fishing Watch, SkyTruth data scientists have made the job of targeting reefers much easier. Together, the team has developed an artificial intelligence system capable of identifying and tracking transshipments around the world by following reefers and classifying their movements. 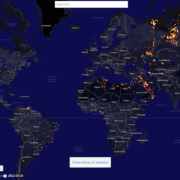 An analysis of 21 billion AIS signals from ships at sea has created the first-ever global map of transshipment. 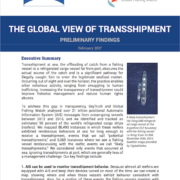 Today, SkyTruth and Global Fishing Watch are publishing those results in a new report: The Global View of Transshipment: Preliminary Findings. According to our analysis, from 2012 through 2016, there were more than 86,490 potential transshipments in which reefers exhibited the slow movements indicative of transshipment. Of those, 5,065 were likely transshipments because they included a rendezvous with an AIS-broadcasting fishing vessel — meaning they traveled at a specified slow speed in close proximity to one another for a certain length of time that indicated a likely transshipment. 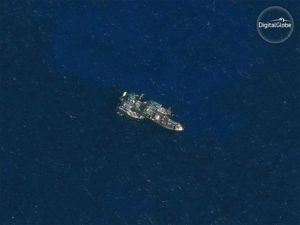 Like most activity that occurs on the ocean, transshipment has been hidden from the world. This report shines a new light over the horizon, revealing the extent and magnitude of transshipment. Based on the data generated by SkyTruth and Global Fishing Watch during this project, our partners at Oceana are publishing a complementary report today that highlights the global scale of transshipment and its complicity in illegal fishing and human rights abuses. The report identifies hotspots of transshipment and the ports that reefers visit, exposing associations between transshipment and illegal, unregulated and unreported (IUU) fishing activity. Oceana’s report calls for the banning of transshipment at sea, expanded mandates for unique identifiers and vessel tracking for fishing vessels. Currently AIS is not required on all vessels, and fishing vessels engaged in illegal activity are known to turn off their AIS when they don’t want to be seen. Having access to high-resolution satellite imagery is a game-changer when it comes to illuminating these rendezvous, especially when only one of the vessels is broadcasting AIS. 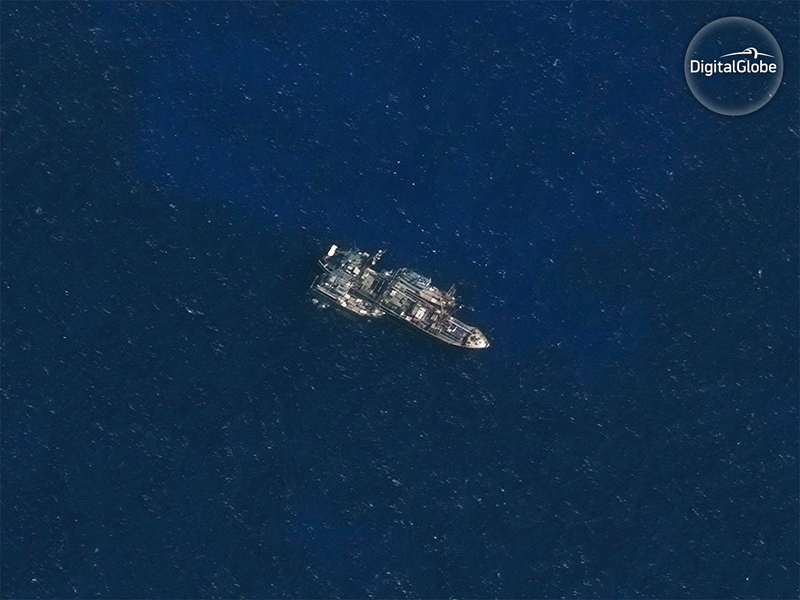 That’s why we are thrilled to be working with the folks at DigitalGlobe, who are donating time and imagery from their powerful WorldView satellites to demonstrate that we can systematically shine a spotlight on these transshipment events at sea. 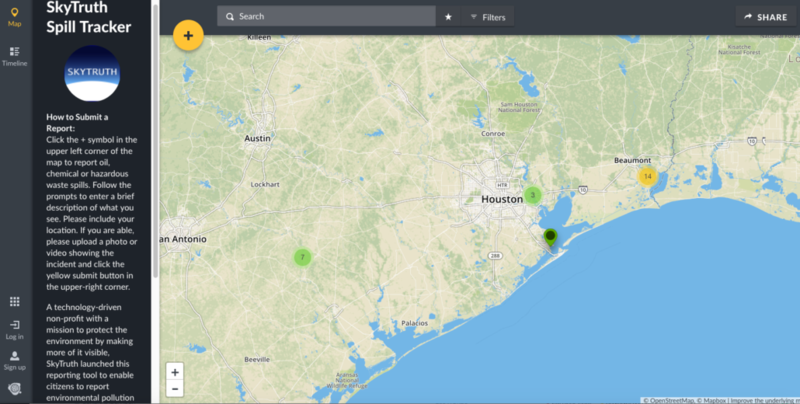 In partnering with SkyTruth, DigitalGlobe shows how corporations and nonprofits can join together to solve some of the world’s thorniest problems.